Dallas chef Josh Valentine made a Filipino balut that earned praise. In the history of Top Chef, no season has ever telegraphed a winner more clearly than this one, season 10, Top Chef Seattle. 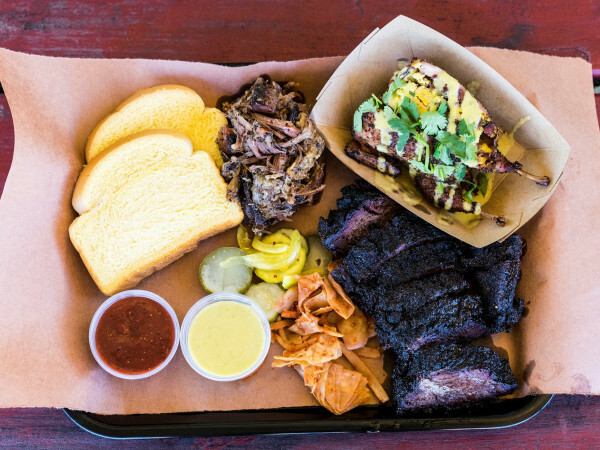 From the beginning — and especially since the departure of Dallas firebrand John Tesar — cheftestant Kristen has been the shoo-in, the hands-down favorite, the sure thing. 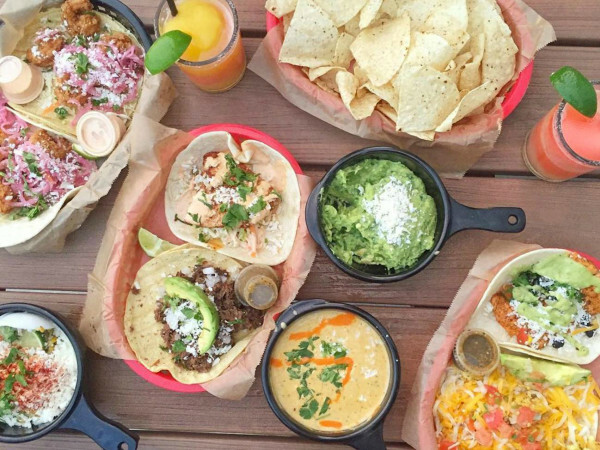 Her dishes so perfect, her flavors spot-on. This has left us, the viewers, to numbly tally the other chefs, falling like dominos, until her inevitable victory. But there's no drama there — and that brings us to episode 11, part two of restaurant wars, a.k.a. the day the unthinkable happens. Kristen is so eager to take the blame for Josie's crappy bouillabaisse that she practically begs the judges to kick her off. Hints are dropped early of the shocking conclusion to come. The two teams — the all-girl French concept Atelier Kwan led by Kristen, and the all-boy Filipino restaurant Urbano led by Sheldon — are huddling when "Benedict Arnold" Josie sidles over to the boys to gripe about micromanager Kristen. Their conflict deepens when Josie — wearing a helpful red terrycloth headband that says "CHEF JOSIE" — botches her bouillabaisse. She starts it too late, then flubs the sauce. Kristen must serve it without its all-important gelatin. (Is it rude to ask what kind of $%#! bouillabaisse has gelatin?) Brooke diplomatically calls the Josie-Kristen conflict a "clash of styles." Brooke has other things on her mind. Make that one thing on her mind: impressing judge Danny Meyer. He's flat and monotonous as a pancake, with a strange, mechanical delivery that makes your skin crawl. But he's a VIP New York restaurateur. As violins play, he'll spot her across the room in her gossamer hostess dress and see her for the credible, talented chef she is. Oh, Danny. The judges like the girls' service, but they like the boys' food. They hate hate hate Stefan's Germanic brusqueness. He fails to describe the Filipino balut that Dallas chef Josh Valentine made and, OMG, the moaning and crying and kvetching. It puts them in a total snit. 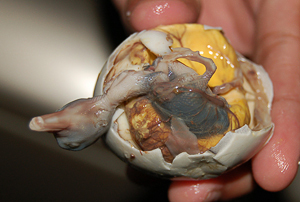 Judges, he's doing you a favor: It's a 24-day old duck embryo boiled in its shell. You don't want to know. Besides, Stefan is responsible for the episode's one good line, when he explains his interest in floral arrangements. "Everybody thinks that every European is gay, but we just do like flowers," he says. In the end, the boys' team wins. That means one of the girls will go home. Do they boot Josie for crappy bouillabaisse? Or do they ax team leader Kristen, so eager to take the blame that she practically begs them to kick her off? Padma The Witch gnashes her teeth at Kristen, and so Kristen is banished from the forest. She pats herself on the back for having integrity and marches on to Last Chance Kitchen. Hey, she won a bucket of cash. And we'll surely see her again. These days, with these shows, you always do.